Grace is a member of our Commercial Department and head of our Intellectual Property practice group. She is passionate about the commercialization of innovation and so focuses her practice on intellectual property, technology and e-commerce, as well as general corporate and commercial matters. Grace often acts for start-ups as well as local and overseas companies looking to do business in Jamaica, In her intellectual practices she manages the local and international intellectual property portfolios of major international and local companies. She holds an LLM with a focus on Technology Regulation from the London School of Economics which she attended as a Chevening Scholar. Grace also holds a Certificate in Advanced Technology Transfer from the UWI and the World Intellectual Property Office (WIPO). 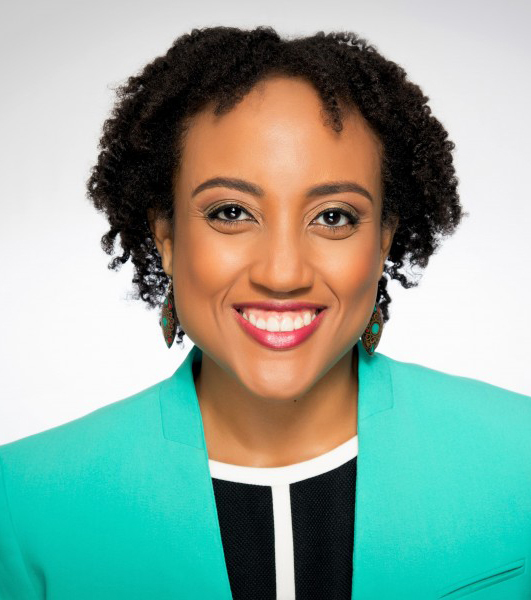 Grace is an active member of the Jamaican Bar Association of which she is a member of the Intellectual Property and Commercial Sub-Committees both of which she is a former Convenor. She also sits on the Technology Telecommunications and Broadcasting Committees of the Jamaican Bar Association. She also sits on the Legs and Regs Committee of the Jamaica Chamber of Commerce and is Chairman of the Caribbean Christian Centre for the Deaf. Grace is a Certified Information Privacy Professional (CIPPE) and a member of the International Association of Privacy Professionals. DISCLAIMER: Confidential or Sensitive Information An attorney-client relationship can only be established after we have discussed the matter with you, run a conflicts check, and you and we have both agreed to the terms of the engagement. Until such time, do not send us any confidential or sensitive information. 6A Holborn Road, Kingston 10, Jamaica, W.I.